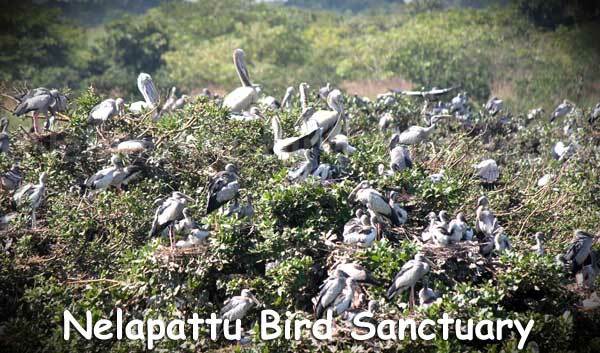 Established in 1976, the Nelapattu Bird Sanctuary lies in Nelapattu village of Nellore District. 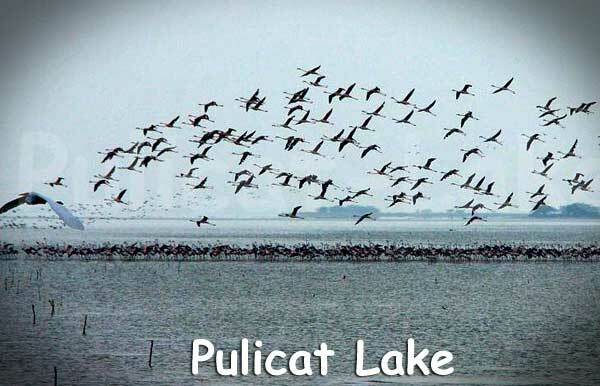 It is about 20 km north of Pulicat Bird Sanctuary. Nelapattu bird sanctuary is one of the largest Pelicanary in South East Asia with more than 1500 Pelicans and other birds visiting every year. 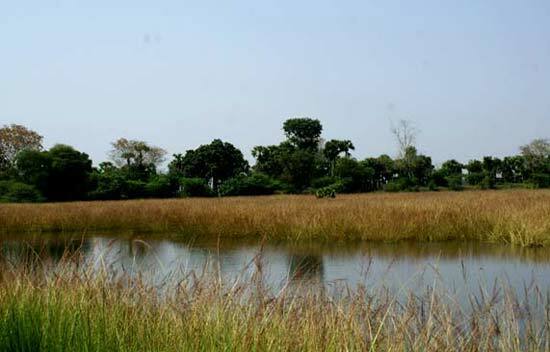 The big fresh water tank of Nelapattu Bird Sanctuary, the presence of good number of “Barringtonia Acutangula” trees which can tolerate inundation for long periods in the tank bed and fore shore areas make this sanctuary a haven for a broad spectrum of bird species for both breeding and roosting. It is a breeding ground for some of the rare and endangered species like Grey Pelicans, Open-billed Storks, Little Cormorants, White Ibis, Night Herons, etc. A wide variety of birds, like Egrets, Tern, Ducks, Waders etc., also rest here.The reserve forest area has mammals like jackals, slender loris and spotted deer and reptiles like snakes, tortoises and monitor lizards. There is an Environmental Education Centre in the Sanctuary with a Museum, Library and Auditorium with Audio Visual Equipment for screening of slides, films etc, on wild life. Watch towers are also available to watch the birds at the Sanctuary. 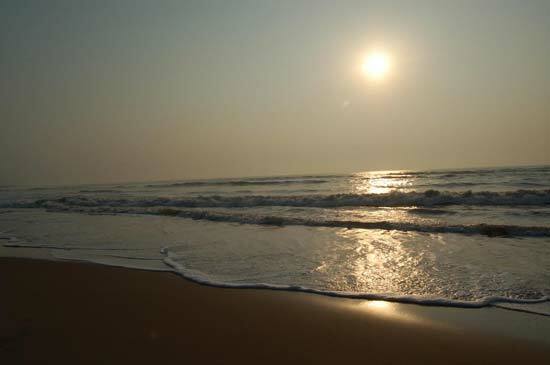 Access: By Air: Chennai is the nearest airport to Nelapattu. By Rail: The nearest railway station is at Sullurpeta. 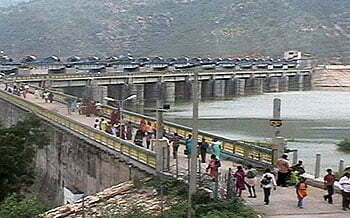 By Road: Nelapattu is 90-km by road from Chennai highway. It is well connected by buses. 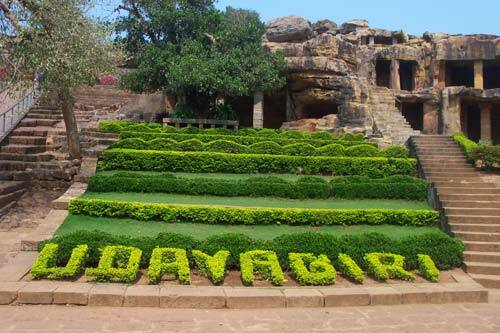 In Doravari satram there is an AP tourism Hotel and in Sullurpeta you will find lot good lodges and hotels for stay.